Facebook said Tuesday it had uncovered a new covert campaign to spread divisive political messages on its social network. SAN FRANCISCO — Facebook said Tuesday that it had uncovered a new covert campaign to spread divisive political messages on its social network, its first acknowledgment of potential political meddling before this year’s midterm elections. Senate Intelligence Committee Chairman Sen. Richard Burr, R-N.C., praised Facebook’s move to reveal the campaign. Rep. Adam Schiff, D-Calif., also pointed to Russia as the source of the campaign. "Today's announcement from Facebook demonstrates what we've long feared: that malicious foreign actors bearing the hallmarks of previously identified Russian influence campaigns continue to abuse and weaponize social media platforms to influence the U.S. electorate,” Schiff said. Members of the House Intelligence Committee have requested the ads from Facebook for review, according to a source familiar with the situation who was not authorized to speak publicly. Facebook said that whoever was behind the posts had worked to mask their identity, trying to evade measures that the social network put in place in the past year to deter election meddling by foreign governments. The campaign paid unidentified third parties to run ads on their behalf, Facebook said, and they used internet phone services and virtual private networks, which allow users to disguise their location. The people behind the pages posted more than 9,500 times on Facebook and only once on Instagram before the accounts were shuttered on Tuesday morning, the company said. They also created about 30 events since May 2017, Facebook said. The largest planned event had about 4,700 accounts interested in attending, although it was not immediately clear how many people went. They ran about 150 ads for approximately $11,000 on Facebook and Instagram, paid for in U.S. and Canadian dollars, Facebook said. One of the events in question was a protest scheduled for Aug. 10-12 and named “No Unite the Right 2 – DC,” counter-protesting a “Unite the Right” event in Washington scheduled for the same time, Facebook said. Sen. Richard Burr, R-N.C., the chairman of the intelligence committee, and Warner told NBC News that they will be holding an open hearing with top executives from Facebook, Twitter and Google this fall. 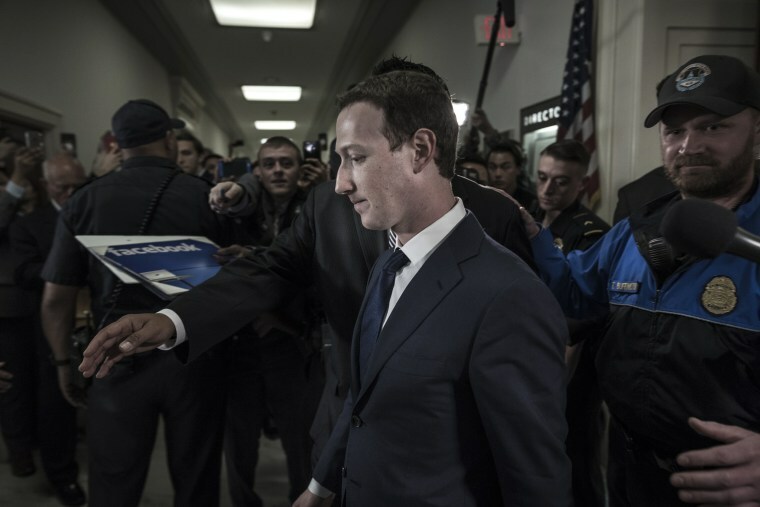 A source familiar with its planning tells NBC News that Facebook's Sandberg and Twitter CEO Jack Dorsey have confirmed their attendance for the hearing, which is expected to take place the first week of September. Google’s CEO Sundar Pichai has yet to respond to a request to appear before the panel. Details about the hearing were first reported by BuzzFeed News. The hearing comes as the Senate Intelligence Committee is investigating what role social media played in the 2016 election and how Russia used those platforms to influence voters. This will be the second time the committee has asked representatives from the top social media and internet companies to testify. The panel questioned general counsels from all three companies in a public hearing in November. Facebook and Twitter officials have also met with Senate intelligence staffers last year. The committee is also looking into how the Obama administration and FBI responded to the attacks by the Russians. They plan on wrapping up these investigations before delving into the final chapter of their inquiry: whether Moscow colluded with the Trump campaign. David Ingram and Alyssa Newcomb reported from San Francisco, and Mike Memoli from Washington. Frank Thorp V contributed reporting from Washington. Michael Cappetta contributed reporting from New York.